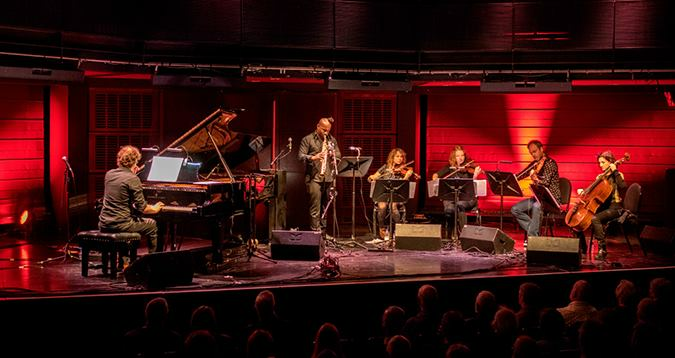 Imagine a musical melange, where a cross-genre of world music meets jazz and classical music, which communicates to the audience through folk-like melodies while showcasing the joys of group interplay and individual virtuosity. Welcome to the McCormack & Yarde Duo. Andrew McCormack (piano) and Jason Yarde (saxes) have been playing and recording as a duo for nearly a decade, to immense critical acclaim, whether it's with the Elysian String Quartet or other internationally acclaimed artists. A short film about the Andrew McCormack & Jason Yarde Duo, "M Y DUO".